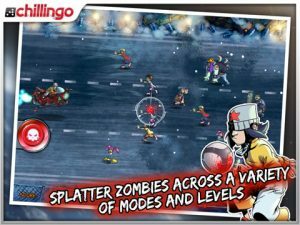 Mixing the premise of Shaolin Soccer with the old-school gaming aesthetic of games like Breakout and Space Invaders – and…zombies – Pro Zombie Soccer: Apocalypse Edition from Chillingo is a fast-paced, frenetic game with an ample dose of humor. And for such a simple game, the artwork, music, and overall presentation make it a fun little time-killer for your iPad. In Pro Zombie Soccer: Apocalypse Edition, you take on the role of Jax, a washed-up soccer player, now homeless, who is caught in the middle of a zombie outbreak. 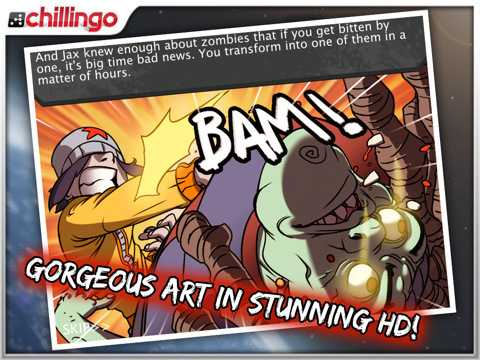 After being bitten by his zombified, soccer-playing hero, Jax is seemingly infected not only with the zombie virus, but also the ability to take out scores of the undead with nothing but a soccer ball. As he feels the infection spread, Jax decides to take out as many zombies as he can and get to the bottom of the infection before he himself turns into one of the walking dead. Players take control of Jax, though he remains stationary on the left-hand side of the screen. To knock out the hordes of zombies that approach from the right, hold down the shoot button, aim, and release. The longer you hold down the shoot button the more powerful the shot, which is key as there are some zombies who cannot be taken down with a normal shot. In addition, there are many different zombie types, such as underground zombies who periodically pop their heads out of the ground, armored zombies who have to be taken out with a bank shot, and disco zombies who can only be taken out with what is called a “nut shot”. That one’s self-explanatory. 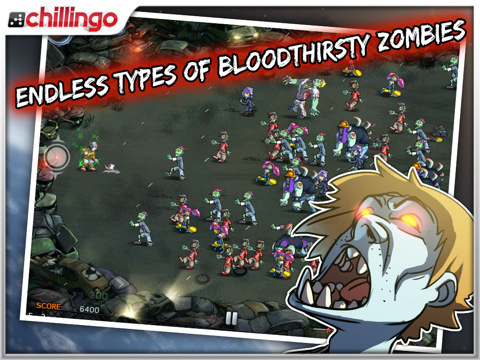 As the game presses on, the action becomes more intense as the zombies increase in number, speed, and complexity. 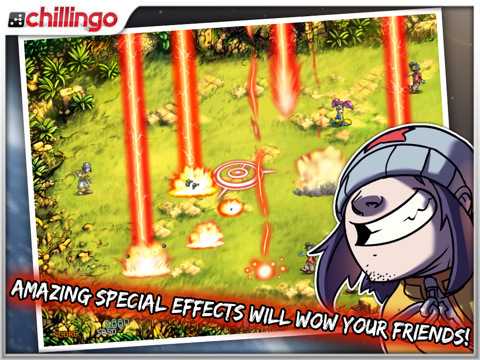 Thankfully, there are a few power-ups that can be earned as you clear the horde. One power-up allows you to plow your ball through packs of zombies, rather than just having it bounce off of them. Another requires use of the iPad’s accelerometer as you aim a target over the play-field and take out zombies with a shotgun. 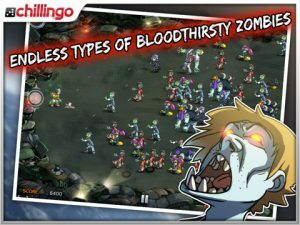 Though these touches add help spice things up a bit, the overall game is quite lacking in variety, making Pro Zombie Soccer: Apocalypse Edition a game to enjoy in short bursts, rather than long gameplay sessions. Despite the simplicity of the gameplay, Pro Zombie Soccer: Apocalypse Edition really shines in its presentation. The artwork, especially in between levels, is made up of absolutely gorgeous hand-drawn high-definition animation. 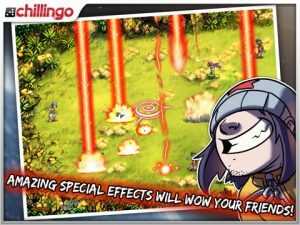 In addition, the story is quite humorous, with a well-written script and funny touches strewn throughout the game. And finally, the head-banging heavy metal soundtrack fits perfectly with the over-the-top zombie apocalypse theme. 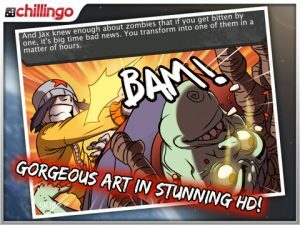 Bottom Line: Though not long on variety, Pro Zombie Soccer: Apocalypse Edition exceeds in humor and presentation, making it easily worth the two bucks. 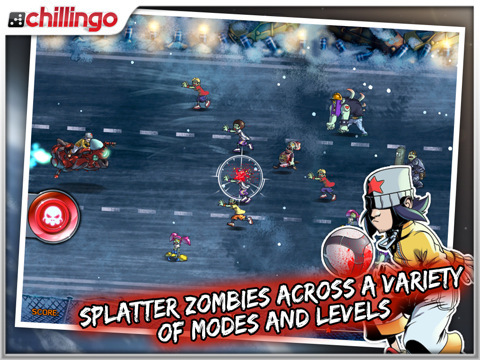 Pro Zombie Soccer Apocalypse Edition is compatible with iPad. Requires iOS 3.2 or later.